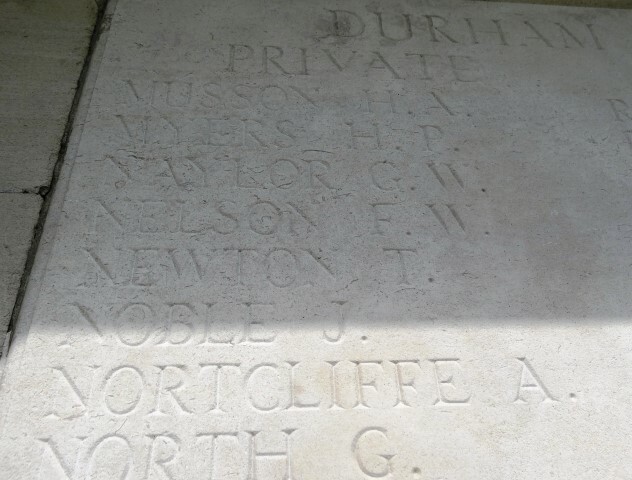 202883 Private Thomas Newton, 15th Battalion, the Durham Light Infantry was killed in action 21 March 1918 and is commemorated on the Pozieres Memorial, France. He was 21 years old and is commemorated on the Woodland War Memorial and the memorial plaque in St. John the Evangelist Church Lynesack. Thomas enlisted at Bishop Auckland and joined the 15th Battalion, the Durham Light Infantry being allocated the regimental number 202883. The Division left for France in September 1915 and saw action on the Western Front from the Battle of Loos 1915 through to the Battle of the Selle, a phase of the Final Advance in Picardy 1918. Private T. Newton’s service record has not been traced therefore the date he entered France remains unknown but he did not enter France until after 31 December 1915. It is likely that he was conscripted and posted to 15/DLI as a draft to reinforce the battalion due to heavy losses in 1917 actions. 3 March 1918: Soviet Russia made peace with Germany and her allies in a separate treaty, the Treaty of Brest-Litovsk. This meant that Germany could now transfer divisions from the Eastern Front to the Western Front. More importantly, these Divisions included the original elite of the German Army – the Guards, Jagers, Prussians, Swabians and the best of the Bavarians. In all 192 Divisions could be deployed in the West so that the Germans held superiority in numbers. The Allies could field 178 Divisions. A single division numbered about 19,000 men so the German Chief of High Command General Ludendorff could call upon about 3,650,000 men as opposed to the Allies 3,380,000. It was essential that final victory was gained before the American Forces arrived in Europe in huge numbers. America had entered the war 6 April 1917 and the first of her troops arrived in France 26 June 1917. In July 1917, Pershing General of the Armies of the United States asked for 3 million men. The build up of troops took time but eventually by June 1918, the Americans were receiving about 250,000 men a month in France. This amounted to 25 divisions in or behind the battle zone and another 55 in the United States. The French were able to draw on a new annual class of conscripts after a year of effective inactivity. However, the British were worn down by continuous fighting following the major offensives at Arras, Messines, Passchendale and Cambrai during the summer of 1917. The strength of the British infantry had fallen from 754,000 in July 1917 to 543,000 in June 1918. The Germans enjoyed spectacular territorial gains particularly during the initial phases of the offensive which led the Kaiser to declare a “victory holiday” for German schoolchildren, 23 March 1918. Added to this the poor diet of the German troops, battle fatigue, discontentment with the military leadership, social unrest at home and a general realization that their great effort was beginning to wane, the Allies counter attack in mid July began to seize the initiative. Sweeping victories over demoralized German forces eventually led to the resignation of Ludendorff, 27 October, the abdication of Kaiser Wilhelm II 9 November and the signing of the Armistice 11 November 1918. The Germans enjoyed overwhelming superiority of forces – 58 Division against 16. The 21st Division served in the VII Corps as part of the Fifth Army and saw action at St. Quentin and Bapaume. 21 March: early morning – fog – the Germans attacked the whole front held by the British Third and Fifth Armies. No Service Battalions of the Durham Light Infantry actually held the line but the 21st Division occupied the sector around Epehy and 15/DLI was in reserve at Lieramont. Noon: occupied the “brown line” to the south of Heudicourt. Shelled fiercely. Gas. During the afternoon the Germans broke through the left of the Division. 15/DLI ordered to counter attack. 7.15pm: assembled at Railton crossroads about half a mile east of Heudicourt. 7.45pm: counter attack commenced in the face of heavy machine gun and rifle fire. Considerable losses. However, 1 German officer and 60 prisoners were taken. 15/DLI linked up with the 2/Lincolns but the enemy still held the trench to the left. Heavy shelling. 22 March 3.00am: attempt to bomb their way northwards but it was impossible to make headway due to fire from machine gun dug outs. 8.00am: German bombardment increased followed by an infantry attack. The line held firm. Noon: 15/DLI ordered to withdraw and marched to Lieramount. This area then became the target for German gunners. The battalion moved to the Nurlu road. 6.30pm: 15/DLI withdrew to a new line on high ground to the north west of Templeux-la-Fosse. German infantry advanced from the south and south east turning the right-flank of the Division. The other battalions of the 64th Brigade struggled desperately. 23 March: 8.00am Fog – The 64th Brigade ordered to retreat as the enemy’s infantry advanced upon the whole front. 15/DLI withdrew fighting all the way. 2.00pm: Mont St. Quentin occupied by the enemy. Further retirement under enfilade fire then the survivors assembled at Clery near the river Somme. Here a great deal of transport fell into enemy hands. Fighting continued in the moonlight. 15/DLI drew back to east of Clery. 24 March: 8.00am furious bombardment followed by an infantry attack. Germans captured Clery. The line fell back to a position north east of Hem. Afternoon: The 35th Division now began to arrive and a counter attack carried the line forward again. 5.00pm: Another German thrust and the recently gained ground was lost. 15/DLI rested at Curlu on the Somme. Here the 35th Division took over the line and as darkness fell, the survivors of 15/DLI withdrew to billets at Suzanne. 25 March: moved back to Bray where the remnants of the 64th Brigade made a Composite Battalion and 15/DLI made one weak company under Capt. C.S. Herbert MC and in this way the Division got a brigade about 1,500 strong which was available as a Reserve. That evening they were in trenches north east of Bray. 26 March: Another composite company was formed by 15/DLI at Chipilly and this detachment numbering about 70 men, joined a second composite battalion. Other stragglers were collected at the transport lines at Beaucourt and Bonnay. 30 March: 15/DLI was at Allonville, about 8km north east of Amiens. In the fighting of the 4 days commencing 21 March, the 15/DLI lost 16 officers and 486 men killed, wounded and missing. Later research records that between 21 and 24 March 1918, 15/DLI lost 6 officers and 63 other ranks killed in action or died of wounds, of which 2 officers and 34 other ranks died 21 March including Private T. Newton. Between 21 and 30 March, 15/DLI lost 7 officers and 74 other ranks killed in action or died of wounds. The circumstances of the death of Private Thomas Newton are unknown. He would have been counted as one of the missing and through the passage of time regarded as presumed dead, killed in action 21 March 1918. He has no known grave. Private T. Newton was awarded the British War and Victory medals. 202883 Private Thomas Newton is commemorated on the Pozieres Memorial. 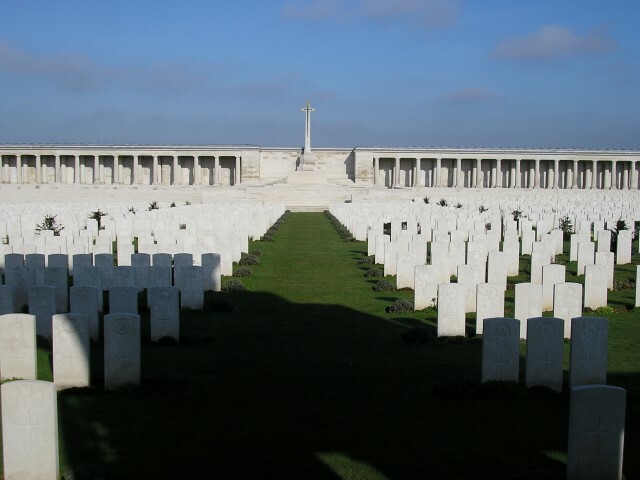 Pozieres is located some 6km north east of Albert, Somme, France. 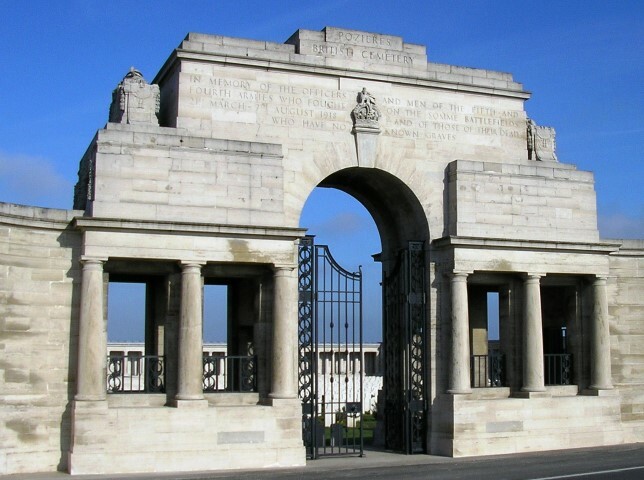 The Pozieres Memorial relates to a period of crisis in March and April 1918 when the Allied Fifth Army was driven back by overwhelming numbers across the former Somme battlefields before the Advance to Victory which began 8 August 1918. The memorial commemorates over 14,000 casualties of the UK and 300 South African Forces who have no known graves and who died on the Somme between 21 March and 7 August 1918.